»The Real Thing – online exhibition«, 27.02. – 22.03. 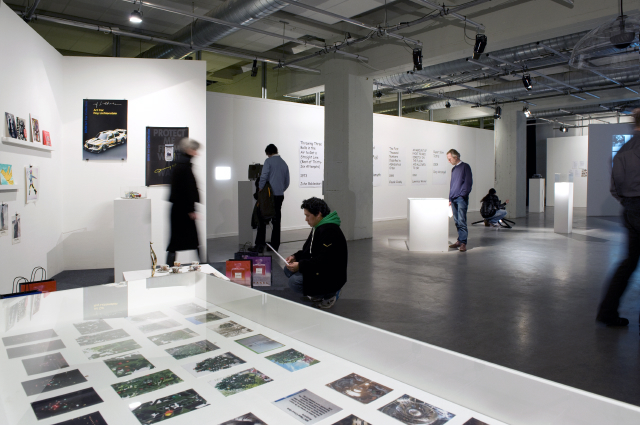 2009, MU Eindhoven. »Hasselt Traffic Circle«, 2008, freestanding row house rotating on roundabout. By John Kormeling. “Remote” by Gijs van Bon. 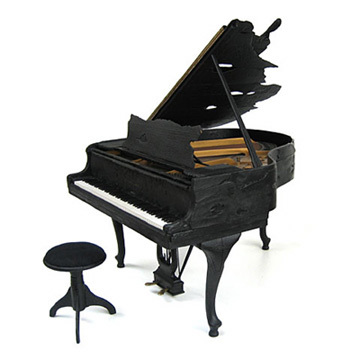 “Where There’s Smoke…”- Steinway baby grand piano. By Maarten Baas.